Here's our pick of the 'best' Chinese smartwatches. These smartwatches are definitely not knock-offs of existing products. Definitely not. 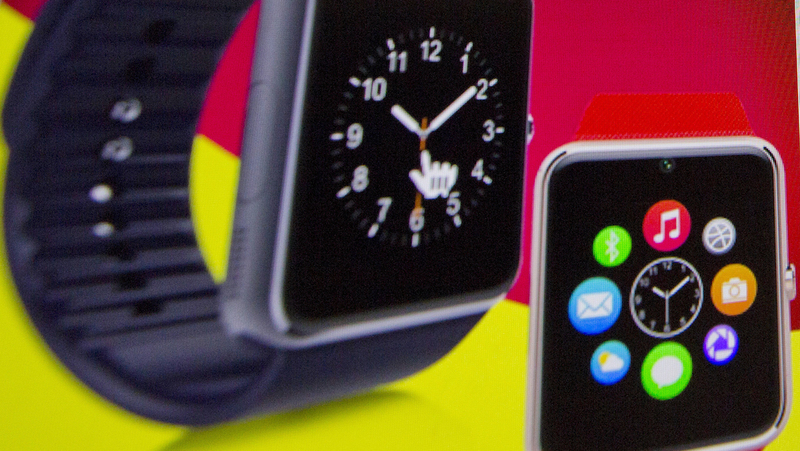 The A8, on sale from Hyperdon, costs around $320 less than the cheapest Apple Watch (right). It only works with jailbroken iPhones but, let's face it, if you're wearing one of these bad boys you're not exactly likely to be toeing the Apple line anyway. The GV08-smartwatch rocks a camera, just like its Korean lookalike the Samsung Gear 2 (right) although you'll have to make do with just 1.3-megapixels. Where it trumps its brother from another mother is by boasting 3G calling capabilities. Can you sync your Moto 360 (right) with an iPhone? Can you balls. The UC-UV360, however, is both iOS and Android compatible and also offers call syncing with a paired smartphone as well. We're sure it works just fine. The M05 smart bracelet promises to count steps, distance, calorie consumption, sleep, and workout sessions. With a battery life of five days and costing a fraction of the price of the Charge (right), why wouldn't you opt for this copycat tracker? They didn't even attempt to hide the fact that, when creating the No.1 Sun S2, they were blatantly ripping off the LG G Watch R. They even used LG's marketing material (right), the cheeky scamps. Bizarrely, this watch has a camera on the back. Don't ask. Another Sammy sibling gone wrong, unlike the Gear 2 Neo (right) the UC-SBS8 has room for a SIM around the back, making it a standalone calling device. It's also got a replaceable battery. Take that Korea. Chinese knock-off of Chinese product? You betcha. The Huawei TalkBand B1 (right) is a terrible device so we're not sure there's any real need for an imitation. But they did it anyway.